Above: Church member Gabi talking with Erik at Friday’s teen outreach. Erik was first invited to our Friday night teen outreach by a friend who is not a Christian (but always enjoys fellowship with us). Living in the neighboring town of Rozsaszentmárton, Erik catches a ride with DezsÅ‘ to PetÅ‘fibánya. 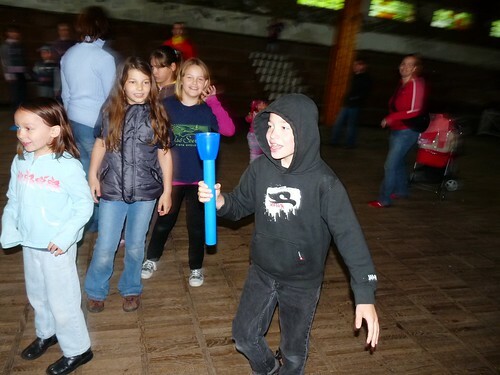 This has given DezsÅ‘ multiple opportunities to answer questions about becoming a follower of Jesus Christ. 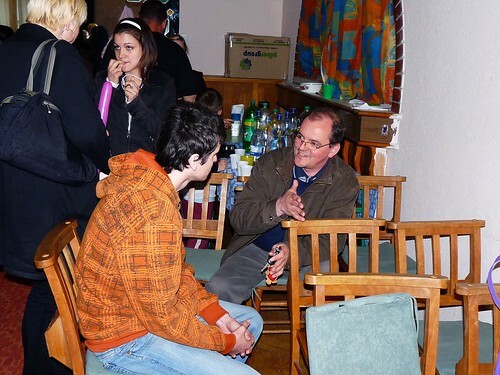 Erik who witnessed the baptism of EnikÅ‘, Ildikó and Gizi just a few weeks ago continued to sit and listen in the back of our services and in our Friday night outreach week after week. 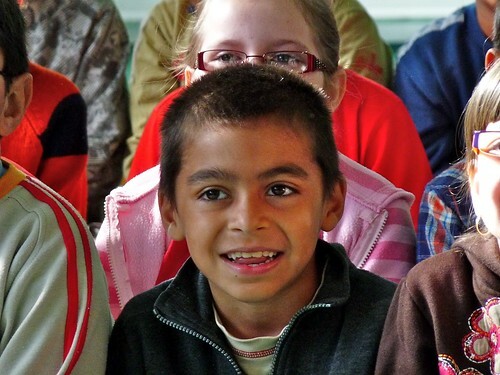 Last Friday, Erik spent the bulk of his time just sitting with church member Gabi, and Gabi shared his testimony. 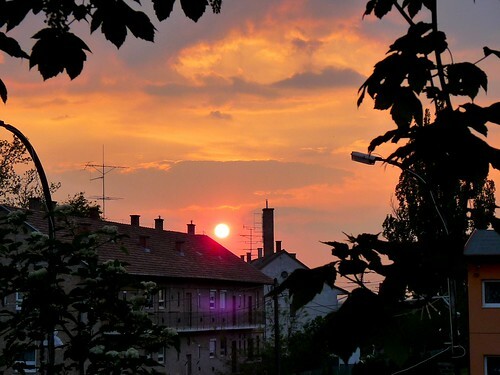 After DezsÅ‘'s teaching that night, Erik came to DezsÅ‘ ready to make a decision to put his faith in Jesus Christ. God is pouring out His grace among the teens! 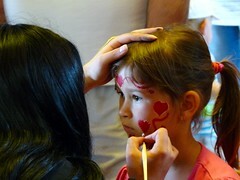 Every summer our church is invited to serve in various community events. These are great opportunities to develop new relationships, give public testimony of our faith in Jesus and also to invite families to church and to our VBS this summer. 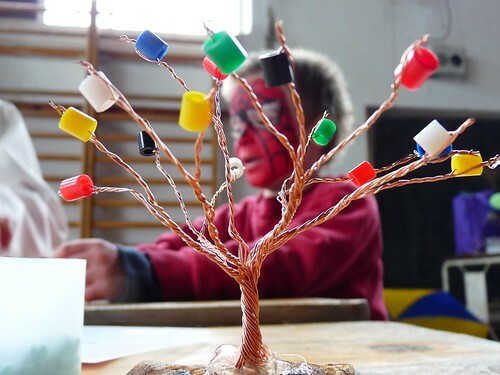 Above: Miki leading a craft time which highlights various truths of the Gospel through colored beads. 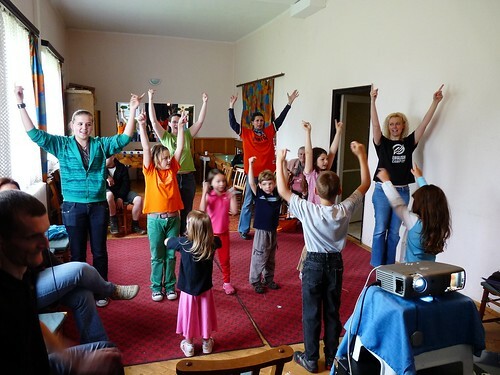 Above: After practicing dance motions throughout the week, our worship team with the help of various kids from church helped put on a mini concert with songs from our VBS. Above: Peti explaining some of the relay games to Gabi. 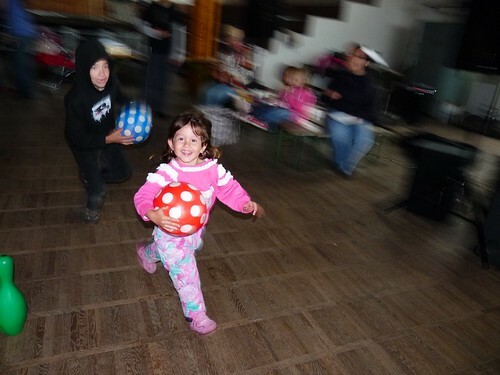 Church member Peti took on the responsibility of organizing and facilitating relay games for the kids (and adults) who attended. This was his first time taking on this much responsibility and he did a great job! 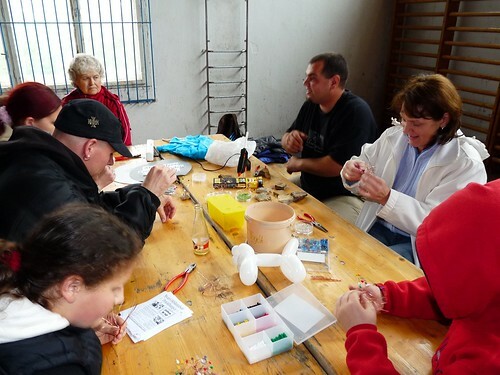 Above: Church members EnikÅ‘ and Marcsi face-hand painting. These are also new responsibilities for these ladies, and we are thankful for God giving them the talent and ability to do a great job. 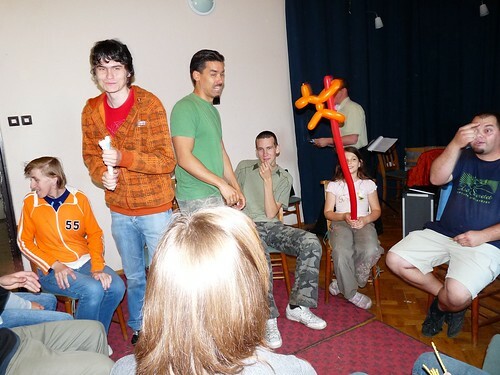 Above: Peti teaching Roland some balloon animal forming tricks. 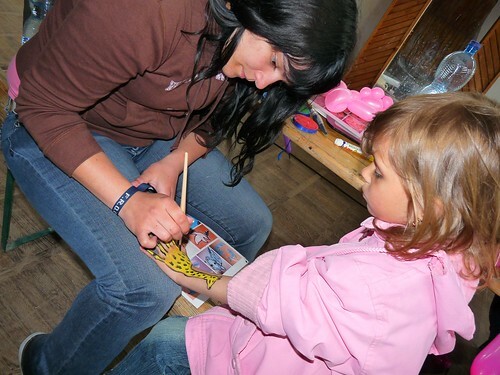 Above: Eszti and Brenda showing off their works of art. 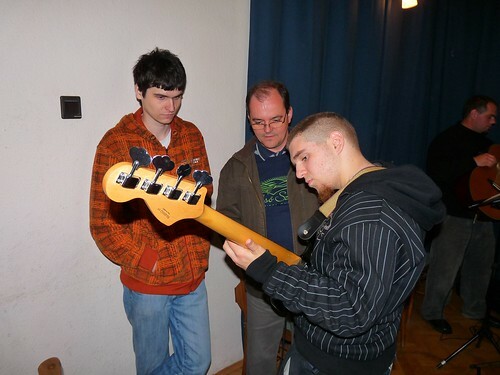 Above: Roland, DezsÅ‘ and Eric trying out Bass guitar before service started. This was Roland’s first time attending our Sunday worship service! 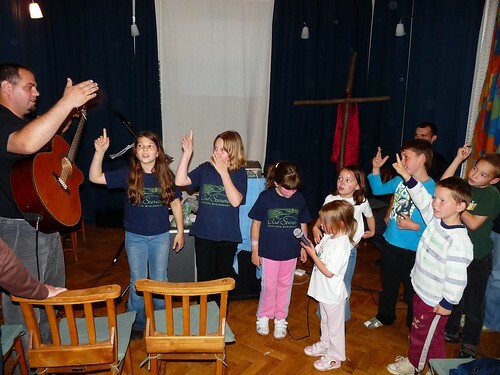 Above: Miki leading some of the kids in Gospel verse memorization. Roland was literally shaking over the magnitude of this decision. 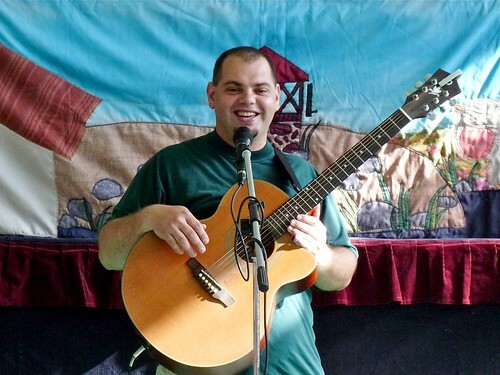 Roland said that He began seeking after he was in a serious car accident in February. Church member Niki knew Roland years ago and became reacquainted with him. She then invited Roland to our Friday teen outreach where DezsÅ‘ has been teaching each week about the futility of this world and the longing we have deep down of something more. 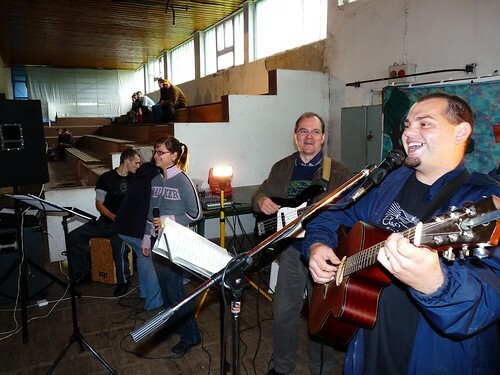 DezsÅ‘ has often shared his testimony and has been showing from God's word that the 'something more' is a relationship with God through Jesus Christ. Praise God for His miraculous work to graciously touch the heart of these lost teens, to draw them to Himself and to save them through Jesus Christ! Please pray for Eric and Roland who have made decisions to put their faith in Jesus Christ. Remember that they don’t come from Christian homes, have little to no ‘religious’ background and just about everything they are hearing from God’s Word is new to them. Will you stand with them in this time and bless them through prayer! 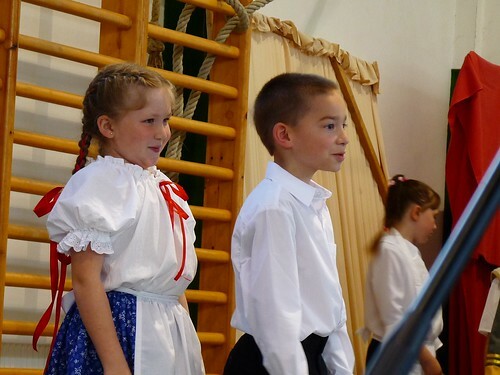 Above: Ben playing the role of an innkeeper in a recent school play in Rozsaszentmártón. 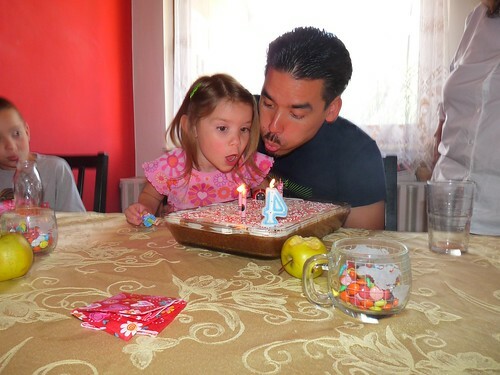 Above: Kira Grace Mercer, already four years old! Above: LIttle giggling after bath time. 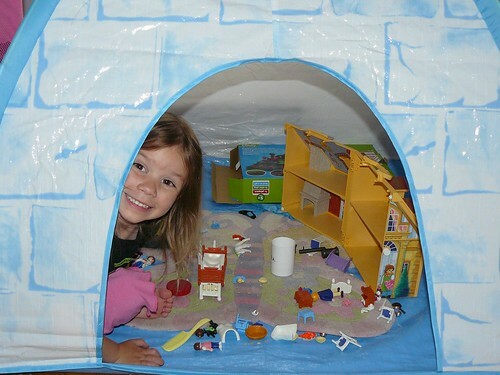 Above: Kira spending some time in her birthday present (an igloo tent). 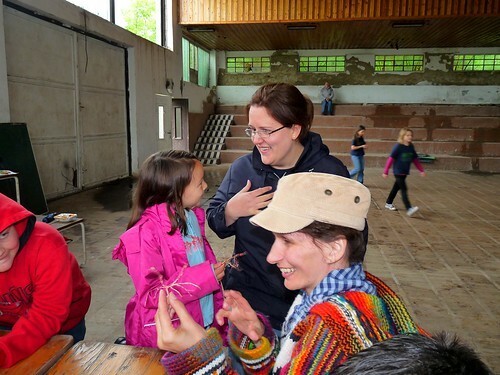 Above: Praying for Ildikó, who after years of going her own way turned to Jesus in her present brokeness. 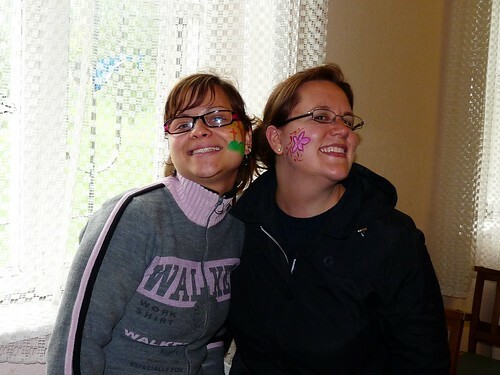 Ildikó was one of the first attenders of the house group that eventually turned into the church plant in PetÅ‘fibánya. Though she professed faith in Jesus, she soon disappeared from fellowship and went her own way. Over the past year, God was doing a mighty work to draw her back into fellowship with us and into hearing and understanding how Jesus and His Gospel applies to her life. Soon after, she decided to call our local church her own home, gave up smoking with God’s help and broke off a destructive relationship that was keeping her from fully committing to Jesus. 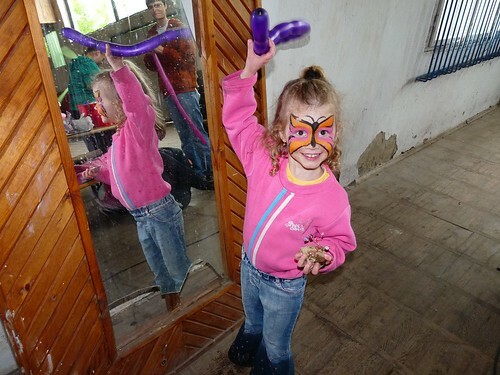 She is experiencing for the first time what it means to have faith in Jesus as a child, not knowing the future, but knowing that the One leading her through life is Almighty God Himself. Above: Gizi full of joy after being baptized. As I wrote a few months ago in a blog post: Meeting Gizi is like meeting a warm fire on a cold night. She emanates joy and warmth as God is doing a mighty work of healing in the last year of her life. Raised as a Catholic, Gizi ended up leaving God for many years and lived in emotional pain because of past abuse and in grief after losing one of her daughters tragically. God in His grace wooed Gizi back, first through a Christian radio show and then through being invited to our church. Since that time we continue to see healing in her soul and evidence of God’s Spirit transforming her from the inside out. Praise God for meeting this seventy year old woman with decades of pain, grief and sin to call her into HIs powerful arms of love through Jesus Christ. Above: EnikÅ‘ publicly declaring her being united in Christ’s death and ressurection through faith in Him. EnikÅ‘, in her testimony, shared about her life being lost following friends into drinking and coming home to her parent’s broken marriage. 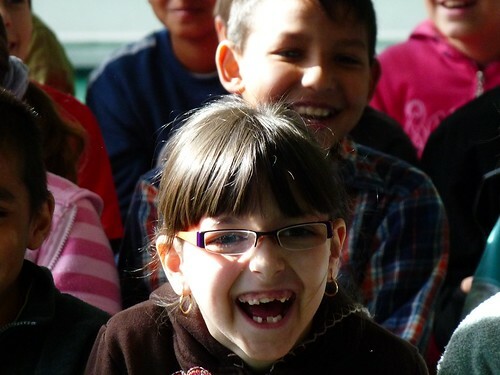 She was invited to one of our English camps and practically on the last day everything came together in order for her to attend. God began calling her to Himself at that camp. 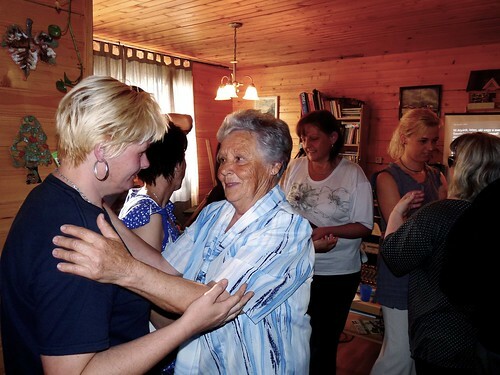 The second year at camp, God spoke to EnikÅ‘ through various testimonies and she felt impelled to speak to someone about what to do next. 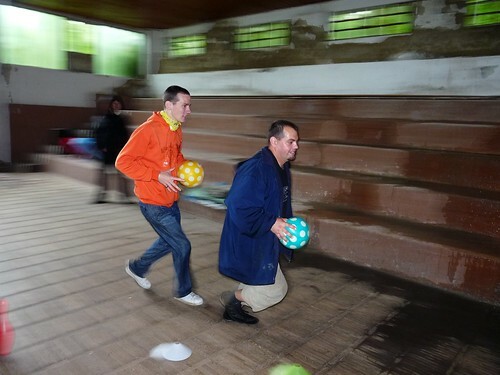 One camp worker, Erika, told EnikÅ‘ that God is like a Father just waiting for us to return home, to turn back to Him, but we constantly ignore Him. 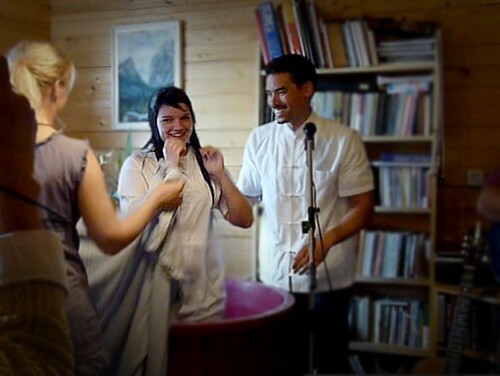 EnikÅ‘ was finally broken by God’s grace to turn to God and to put her faith in Jesus Christ who saved her from sin and restored her relationship with God. Coming home after camp was not a positive experience. 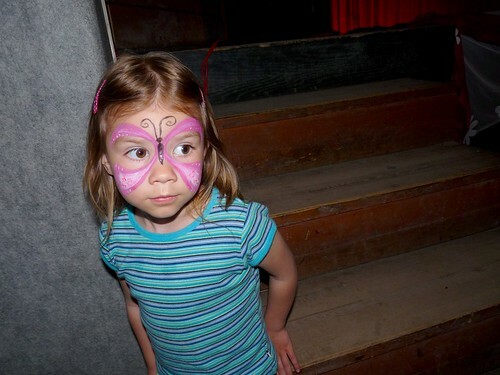 EnikÅ‘ was asked by her mother, “So did you become a Christian”. 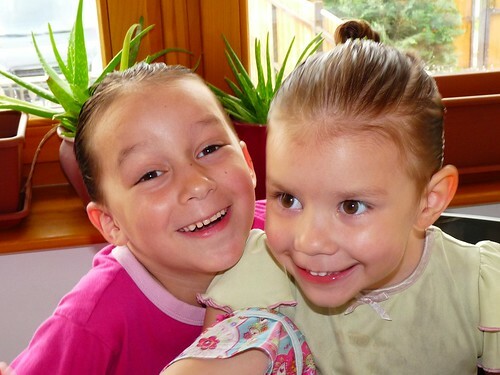 EnikÅ‘ told her mother about her decision and was then treated with rejection because of her faith. This rejection and emotional hardness toward EnikÅ‘ continued for months as EnikÅ‘ continued to grow in her faith. Though things have gotten much better, there is still friction and suspicion about EnikÅ‘’s decision to follow Jesus. EnikÅ‘ also had to make tough decisions, breaking off relationships with some friends that were continuing on a path opposed to Jesus. 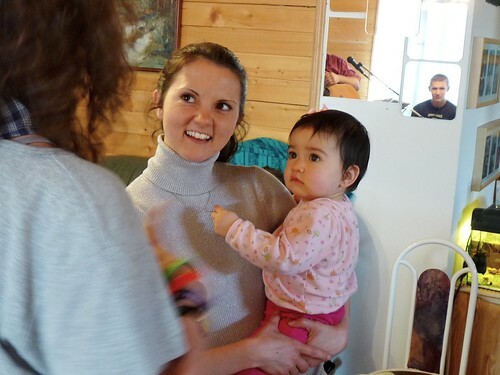 We rejoice in all that Jesus is doing in EnikÅ‘’s life and are encouraged by her perseverance even when facing opposition for her faith in the most intimate realm of her family. 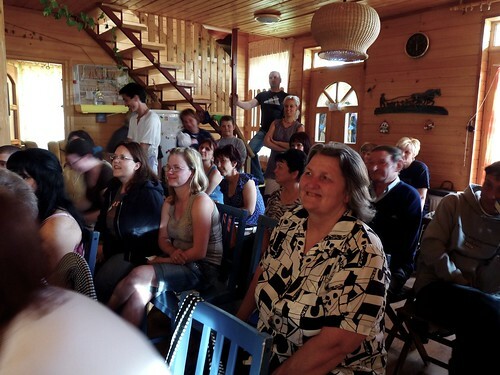 Above: Miki and Erika were kind enough to open their home once again for our worship service. Above: Blessings and words of encouragement after their baptism. Above: Heidi with Emily who just turned one. Hugi offered her happy birthday wishes after our service. 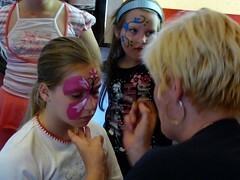 Above: Marcsi and EnikÅ‘ helping Allen at the face painting booth. 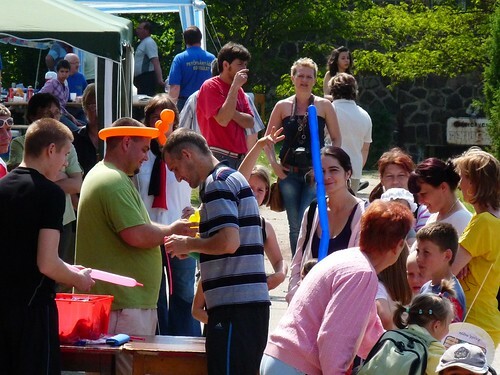 God has given us open doors every year to serve in public events like PetÅ‘fibánya’s May 1st celebration. 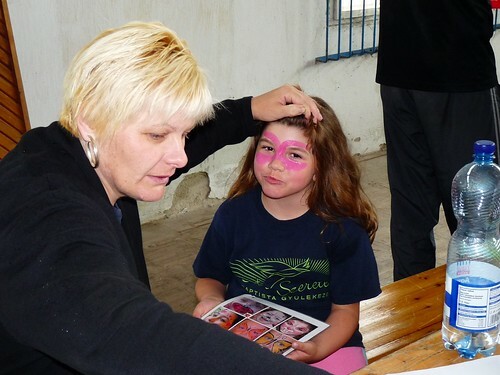 This year, the local officials even chipped in some money for supplies and provided lunch for church members who helped with face painting, balloons, table soccer and a crate climbing tower. 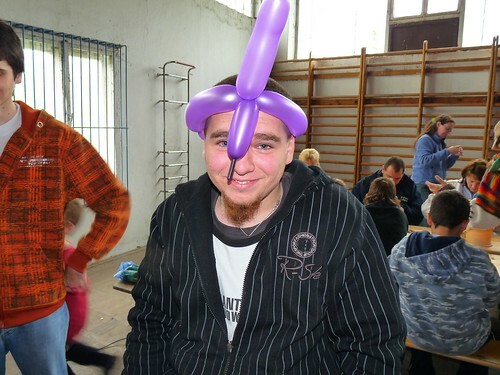 Above: Miki, Peti and Gabi distributing and shaping balloons for the kids. Above: Some teens hanging out that have known us through various outreaches over the years. Above: Hugi was stationed at our information table where she offered free Christian books and promoted our VBS coming this summer. Hugi said that after we packed up for the day, she exited the building to see many who had taken books reading them outside. We are thankful for the freedom to share evangelistic materials at these public events and for the many books Hugi was able to distribute throughout the day. 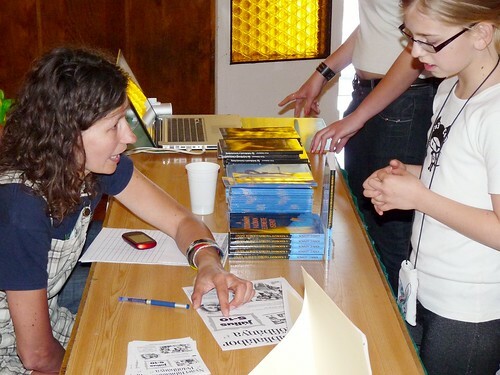 In years previous, primarily our core church planting team did all of the work in such public outreach events. 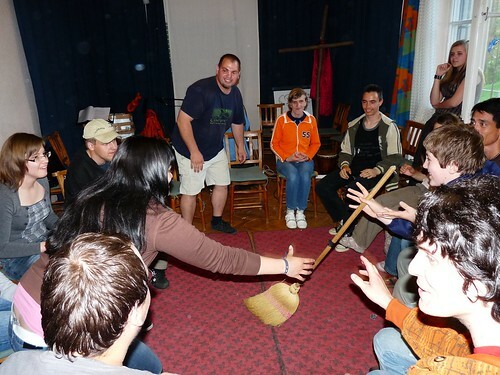 This year, we were outnumbered by church volunteers taking on various responsibilities. We are so thankful that a core group of believers in our church is maturing and discovering how God has gifted them for service in the community. Above: God’s provision of a beautiful sunset on Saturday. Above: Miki bringing out the laughter before we begin our show. 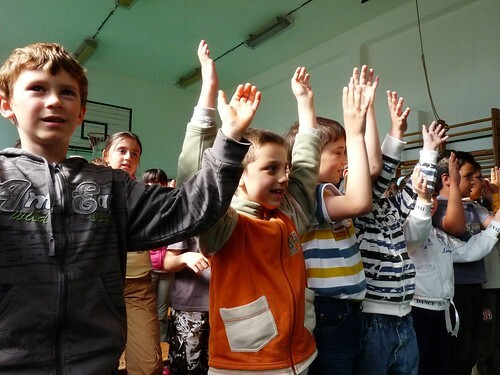 Above: Kids singing along with the verses, “On the third day He rose” and “Every knee will bow before Him”. 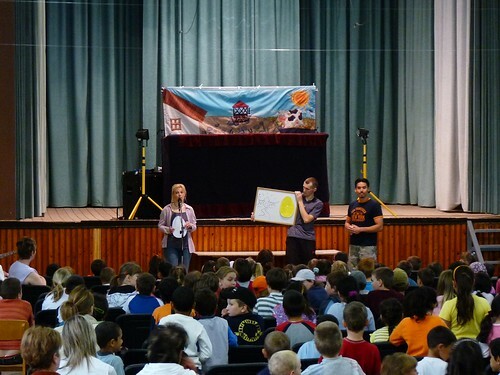 We praise God for this final day of bringing our Easter Puppet show to 26 schools, the most our team has taken on to date. We had a much more positive experience (as opposed to Thursday) with these last two schools of Vanyarc and Gyöngyöspata. Praise God for opening so many doors and allowing the good news of Jesus Christ to be shared with thousands of kids through this ministry! Thank you all for your prayers.